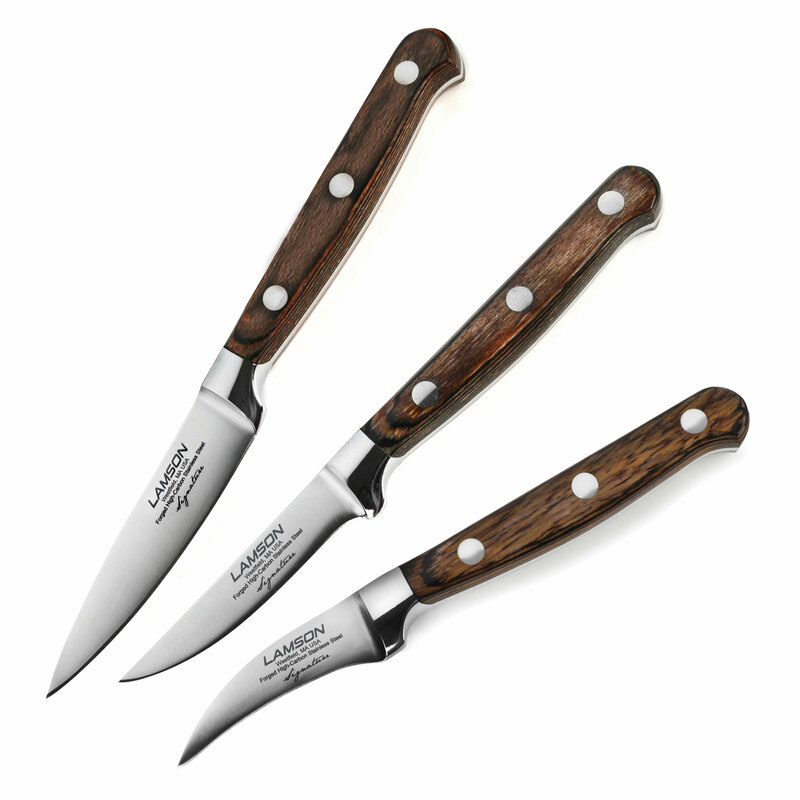 Set includes a Lamson Signature 2.75" Trimming Knife, 2.5" Bird's Beak Peeling Knife and 3.5" Paring Knife. 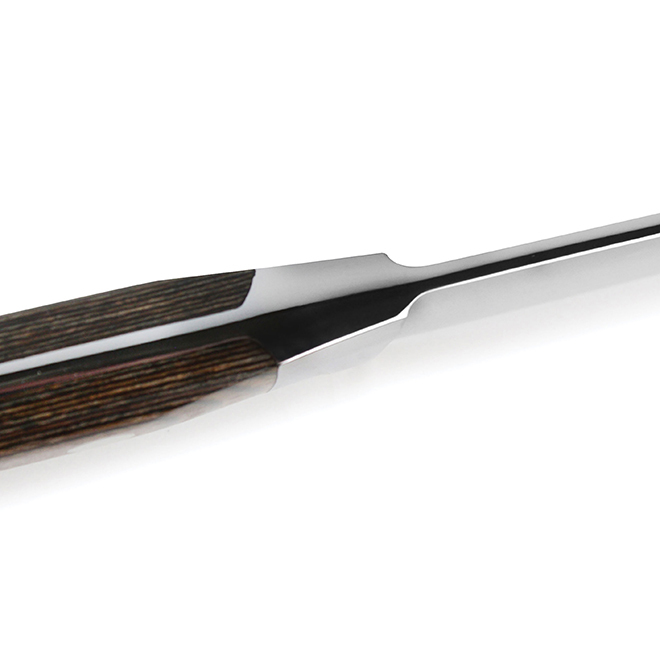 The Trimming Knife is designed for removing excess fat when a larger knife is too big to maneuver, and also be used for fluting and cutting small pockets in meats for stuffing. The Bird's Beak Peeling Knife is designed for peeling the skin off produce quickly and effortlessly. 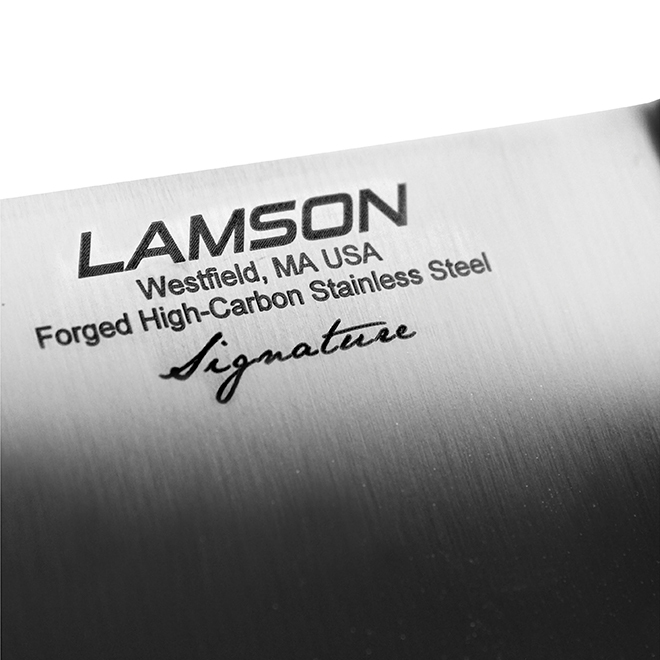 The Paring Knife is ideal for dicing, and mincing smaller fruits and vegetables. 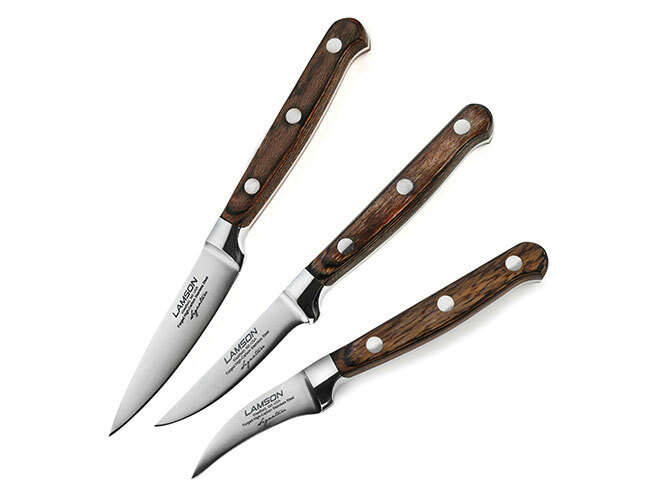 https://www.cutleryandmore.com/lamson-signature/paring-knife-set-p137985 37985 Lamson Signature 3 Piece Paring Knife Set https://cdn.cutleryandmore.com/products/large/37985.jpg 119.9500 USD InStock /Cutlery/Paring & Peeling Knives Set includes a Lamson Signature 2.75" Trimming Knife, 2.5" Bird's Beak Peeling Knife and 3.5" Paring Knife. The Trimming Knife is designed for removing excess fat when a larger knife is too big to maneuver, and also be used for fluting and cutting small pockets in meats for stuffing. The Bird's Beak Peeling Knife is designed for peeling the skin off produce quickly and effortlessly. The Paring Knife is ideal for dicing, and mincing smaller fruits and vegetables.